By joining the EU, the Czech Republic made a commitment to adopt the euro. But successive Czech governments have postponed any clear answer to the question of when the euro should be adopted. “The euro is not a failed project and it doesn’t cause poverty. Furthermore, it is not true that we are doing well thanks to the Czech crown,” Niedermayer said during a debate of Czech MEPs in Brussels. 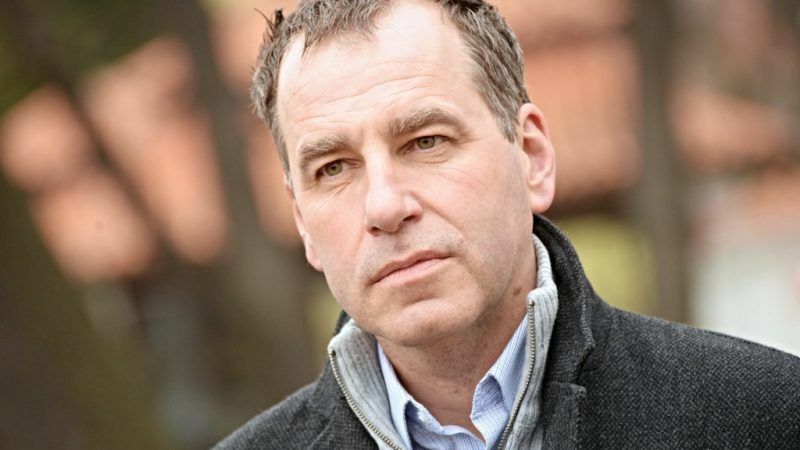 Niedermayer is from the TOP 09 political faction, affiliated to the centre-right European People’s Party (EPP), which has a staunch pro-EU line. According to Niedermayer, the Czech economy will actually benefit from adopting the single currency, saying it will contribute to raising living standards, create new jobs and raise wages. He also thinks that Czechs will be better able to compare the price of goods with countries that have introduced the common currency. Czech supporters of the euro also argue it will facilitate business. Many Czech companies are already doing business in euros because of the strong interconnection of the Czech economy with the Eurozone, remarks MEP Pavel Poc, from Czech the Social Democratic Party (S&D). Who will pay for the Greeks? Among the new EU member states, the Czech Republic is also the best prepared for adopting the euro, Niedermayer argues. Not only technically, but also because it has aligned its monetary policy with the European Central Bank. However, euro critics in the Czech Republic are afraid that, by joining the European Stability Mechanism (ESM), Prague will have to save Italian banks and pay for Greece’s debts. Nevertheless, activation of support rescue programmes used by the EU to stabilise the situation in countries facing a difficult financial situation requires the unanimous approval of all Member States. This means that if even one minister of finance is against, the loans cannot be provided. Moreover, Poc points out that even the Czech Republic may be subject to a speculative shock in the future, as was the case in Greece. Then it would also need help from the ESM. In this context, Czech economists draw attention to the growing bubble in the real estate market, where property prices are currently rising at the fastest pace in the EU. Will there be a referendum on the euro? In the Czech Republic, the issue of a referendum on adopting the euro is also often brought up – sometimes in connection with parliamentary, regional or municipal elections. This idea is supported by MEP Kateřina Konečná for the Communist Party of Bohemia and Moravia. However, she emphasises the need for an in-depth discussion that should be joined by both the Czech general public and the Chamber of Deputies. Konečná is afraid of where the Eurozone will move after the planned EU reforms. “We are not saying ‘never’ and ‘under no conditions’, but we are not in a hurry to adopt the euro,” she adds. According to Niedermayer, it is difficult to specify the stage of the Eurozone accession process in which the Czechs should express their opinion on euro adoption. Holding a referendum before entering the European Exchange Rate Mechanism (ERM II) would mean asking the Czech population what will happen in three or more years, which is the minimum time for preparing to adopt the European currency. According to Luděk Niedermayer, it makes no sense to hold a referendum when entering the Eurozone either. The Czech MEP for TOP 09 also sees limits in time horizons. The new government would have to start thinking about adopting the euro now to be able to adopt the common European currency by the end of its four-year term. MEP Michaela Šojdrová (Christian Democratic Party, EPP) views this October’s election to the Chamber of Deputies as a referendum on the euro. The question remains whether the new government will actually discuss the issue. According to communist MEP Kateřina Konečná, the election to the European Parliament, which will be held in 2019, could also be viewed as a referendum not only on the euro, but also on the future of the EU. Her social-democratic colleague Pavel Poc adds that the adoption of the euro is not decided by Brussels, but by the Czech Republic itself. Luděk Niedermayer also points out that the countries which have adopted the euro, such as Slovakia, are improving economically. Big investors sometimes turn to other Easter n countries because of the greater economic or monetary certainty, argues the centre-right MEP for TOP 09. However, Czechs still don’t trust the euro, which contrasts sharply with support for the euro by their Eastern neighbours. While around 70% of Czechs oppose the adoption of a single currency, two thirds of Slovaks support the European currency. In addition, according to MEP Michaela Šojdrová, the euro assures not only economic, but also political and security stability in Slovakia. Sweden has not introduced the single currency, but it has not negotiated a permanent exception like Denmark. It only rejected the adoption of the euro in a non-binding referendum in 2003. However, according to Niedermayer, the Czech Republic cannot be compared to Sweden. “They do far less business with the Eurozone than we do, so it is more advantageous for them to maintain an independent monetary policy,” concludes the Czech MEP for TOP 09. This article was originally published on 14 December on Aktuálně.cz, EURACTIV.cz’s media partner in the Czech Republic.